The headline story in extraction has most recently been the proliferation of induction hobs featuring integral extraction. and Belgium extractor manufacturer Novy launched into the UK market with its combined models at the show. 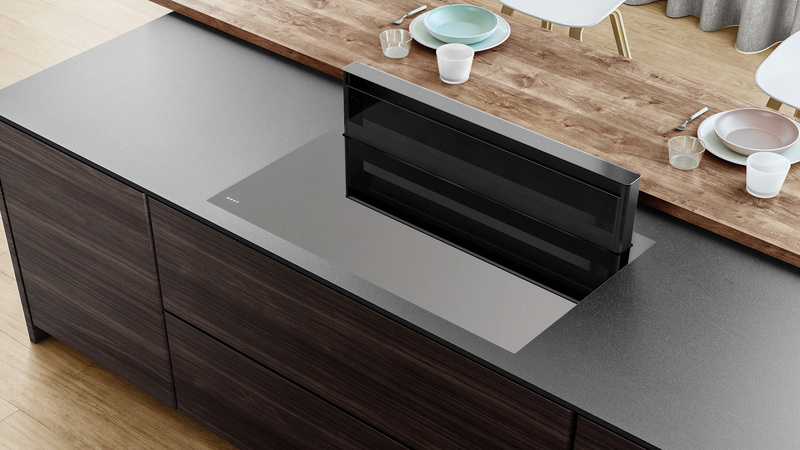 In fact, Elica introduced six extractor hobs at Eurocucina FTK, “four of which will be available within a few months and two are for 2019,” explains Howard Bogod, managing director of the UK distributor for Elica, DR Kitchen Appliances. 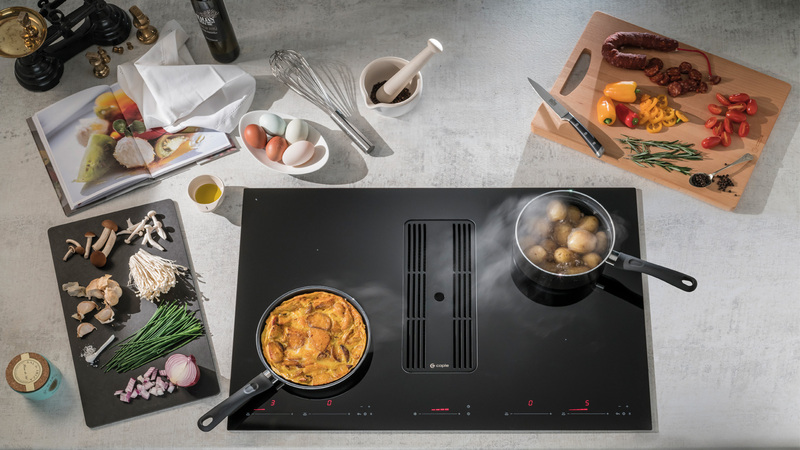 Such has been the interest in the combination hob and hood extractor, that industry experts believe it will become more commonplace in kitchen design. 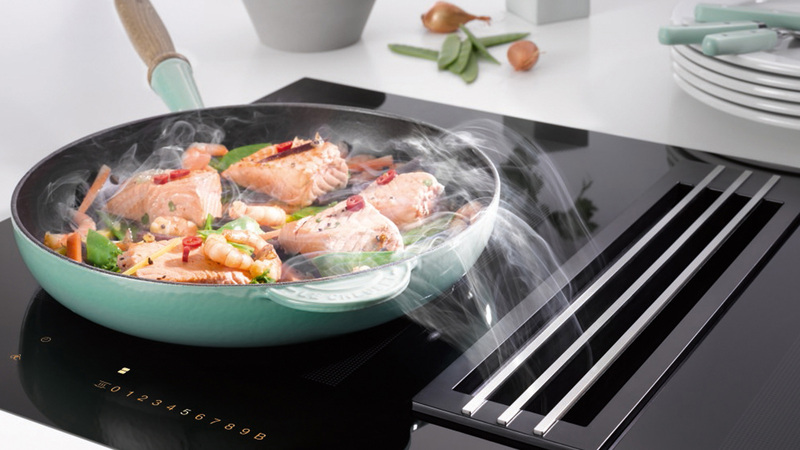 And despite Westin recently launching an integrated hob extractor, sales and marketing manager Ann Onions believes they will not be all-consuming, leaving room for separate extractor sales: “Sales are growing rapidly for the Harmony from Westin on the back of excellent demonstrations of the product at kbb in Birmingham. 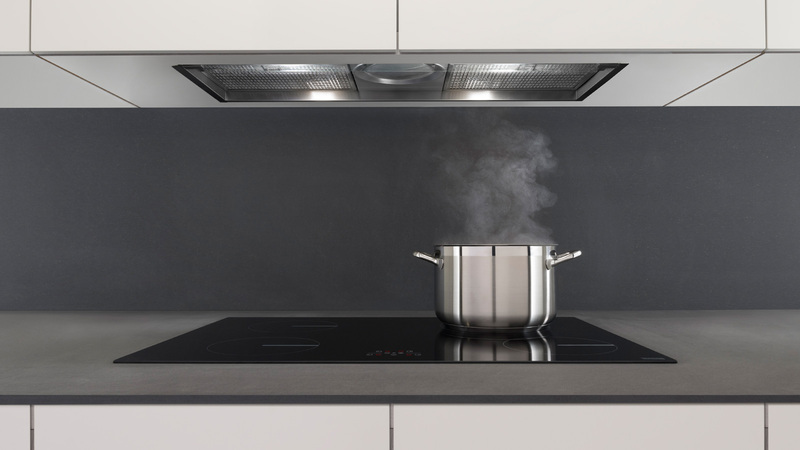 In fact, it is not even likely that combination hob and hood or even separate downdrafts, will be responsible for all future concealed extraction sales, as both of these appliances share the similar requirement of space. However, it should be pointed out there are also models that can reduce the amount of space required for downdraft models, with their motors sited a distance from the source of extraction. 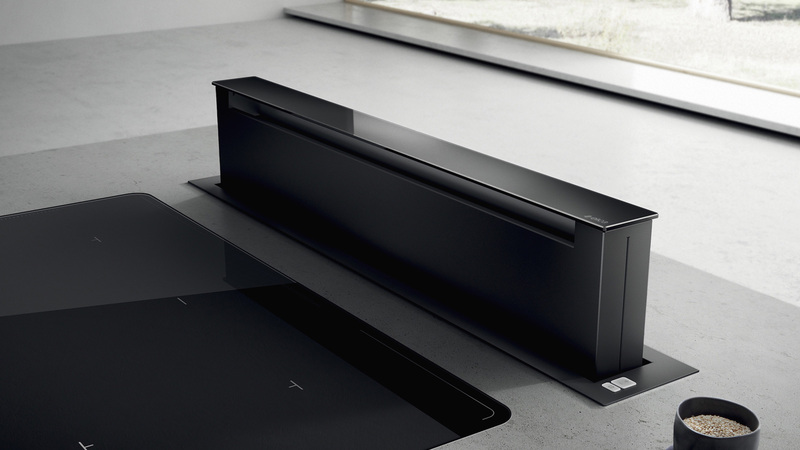 “The new downdraft models from BSH offer flexible installation solutions, such as being able to remotely mount the motor up to 3m away”, says product manager of ventilation for BSH, Sean Liddle. 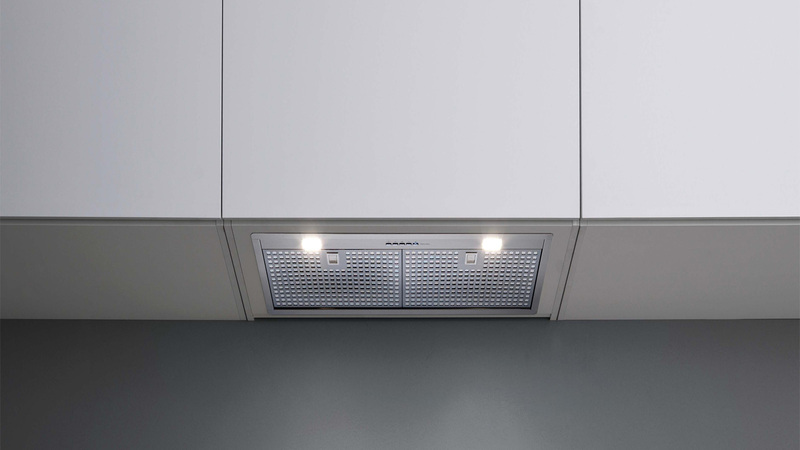 Luckily for designers, there is a raft of concealed extraction, such as those built-under wall cabinets through to ceiling options which widens the choice of discreet removal of steam and cooking odours. 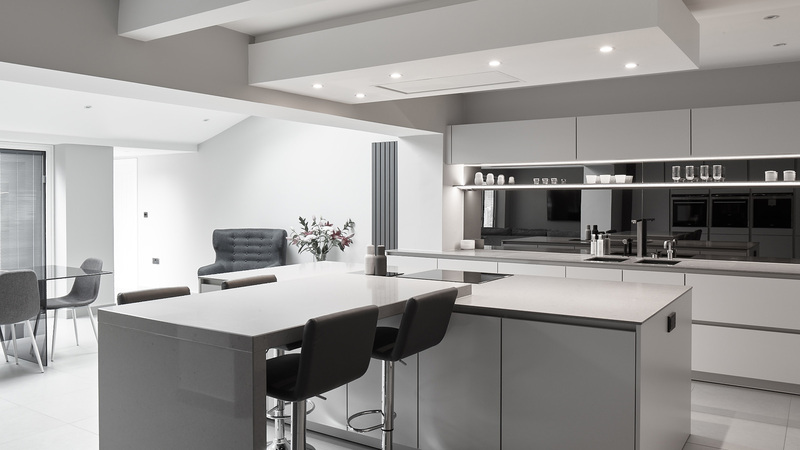 At the top-end of the market, ceiling extraction is still proving to be a popular choice for designers and their customers who want clear sight lines across the kitchen. Ann Onions of Westin says built-in ceiling hoods – its Stratus range – are the most popular. She explains why: “It fits flush into the ceiling, whereas some ceiling hoods have a slight lip below the ceiling. And yet, there are industry experts who suggest dynamic lighting is going to become more important in the design of built-in ceiling extraction, catering for task and mood lighting. And this is reflected in the Elica portfolio, as Howard Bogod adds: “A critical feature is lighting. Nearly all kitchens now have LED lighting but there is no single temperature specification. Of course, these developments are at the top-end of the market, but for designers working in the mid or lower markets, concealed extraction is still an option. And Nigel Jacobs, managing director of Euroline, which is the UK importer of Falmec, says this is reflected in his sales. 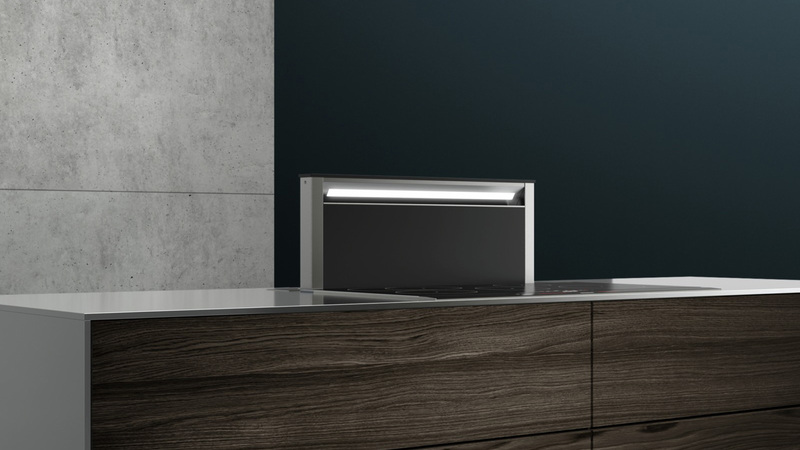 However, it should be pointed out this is a key requirement of all extractor, to make sure it meets the needs of the consumer – including their cookery style. Ann Onion adds: “The main consideration for all extraction, not just concealed, is the performance requirements of the cook in the kitchen they are designing. While the performance of the hood remains integral to sales, so does the requirement for it to operate at low decibel levels. And this is the research and development focus for many manufacturers. “Noise reduction and the quality of re-circulation filters are constant research and development topics”, admits Jeannette Ward. But going forwards, automated operation seems to be growing alongside this, from sensor technology, through to greater use of connected hood and hob technology. 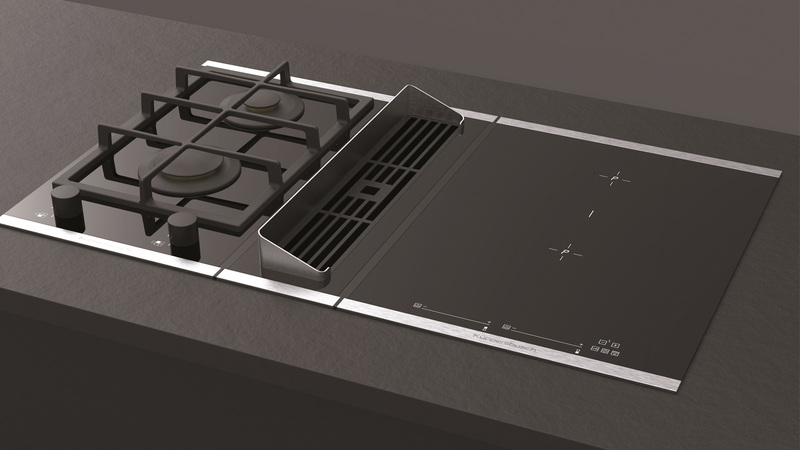 So while designers may be passionate about the combined hob and extractor, it isn’t all over for separate downdraft, ceiling or built-under extraction sale. 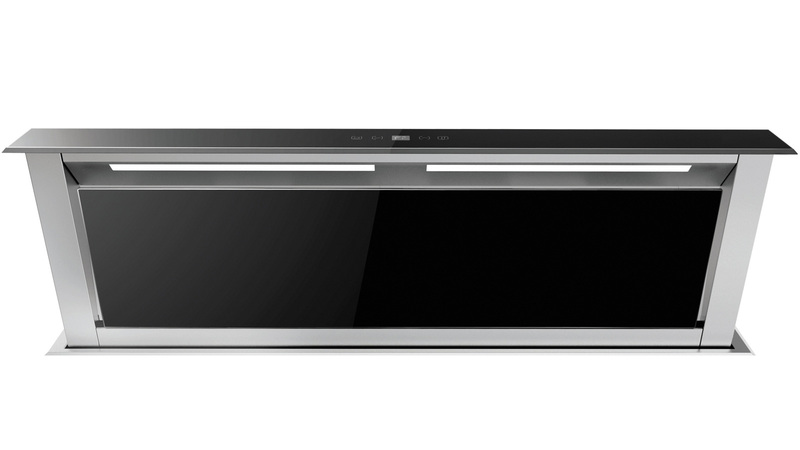 What is key then is whether the extractor can be fitted into the scheme, performs correctly at the appropriate noise level and how users want to engage with their appliance. Then love will truly be in the air for all types of extraction.